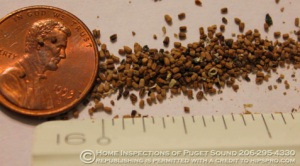 A reader recently reached out to us with this question, “What is the best way to prepare eri silk frass to become a soil fertilizer for food crops?” Let’s dive in by breaking down this question! Eri silk refers to silkworms (though they are technically caterpillars, not worms.) 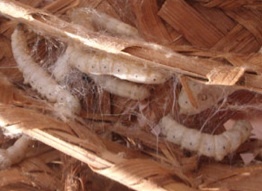 Silkworms, the larvae of silkmoths, are used commercially to produce silk. There are 5 species of silkworms that are used to make silk, and each species feeds on a different host plant. Most silk is produced by the Bombyx mori larvae, which feed on the leaves of mulberry plants. 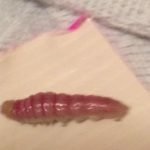 Coarse silk, known as tasar, which is used primarily for furnishings, not clothing, comes from the Antheraea mylitta larvae. 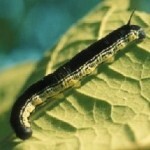 These caterpillars feed on food plants. There is another variety of tasar produced from a different silkworm species: Antheraea proyeli. They feed on oak plants. Muga silk, which is golden yellow and prized in some places in the world, comes from Antheraea assamensis larvae. These creatures feed on the leaves of especially aromatic plants. Finally, there is eri silk. It comes from Philosamia ricini larvae, which feed on castor leaves. So, our reader is asking about the frass that comes from eri silkworms, a.k.a. Philosamia ricini. Now, what does frass mean? Depending on who you ask and the context, frass can mean different things. 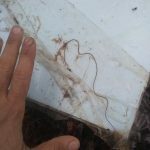 Generally, it refers to the droppings/solid excrement of worms and insects. In more technical situations, it might only refer to the excrement of certain caterpillars. In this case, we know it refers to the droppings of eri silkworms. Frass is often considered a great fertilizer since the creatures that produce it are eating healthy plants and recycling nitrogen. 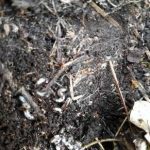 Insect frass is just a natural form of compost, and by putting frass in your soil, you are basically feeding your plants digested plants. What a cool cycle! While we are all for our reader using frass, we don’t have a ton of experience preparing it for best results. 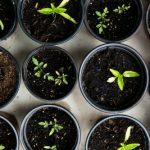 According to Growing Organic, you can either pre-mix the frass into soil or compost, or mix it into some water and let it steep for up to 24 hours and then soak the roots of your plants with the mixture! 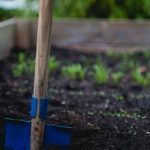 We’ve written about this mixture (known as compost tea or worm tea) before, and we encourage our reader to check out these articles to become both informed and inspired! If any of our readers have tips or advice on frass, we invite them to comment below! We wish our reader the best of luck and happy gardening! 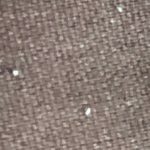 A reader recently reached out to us with this question, "What is the best way to prepare eri silk frass to become a soil fertilizer for food crops?" Let's dive in by breaking down this question! 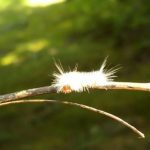 How Do Catalpa Trees Attract Catalpa Worms?